October | 2014 | Read it! Read it! On November 1, you can begin working towards the goal of writing a 50,000-word novel by 11:59 PM on November 30. Track your progress, network with others, and get some inspiration on the site. BSC theater students and members of the BSC Drama Club will guide `those who dare’ through a Haunted Theatre experience, October 31 and November 1. 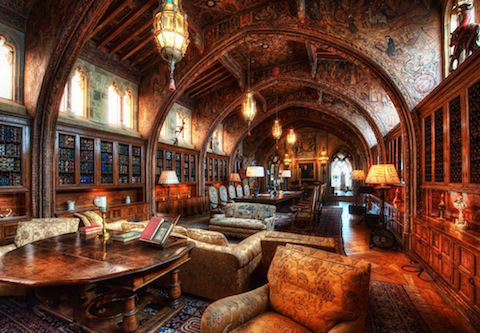 If haunted places are your thing, put visiting the 10 Most Haunted Libraries in America on your bucket list. 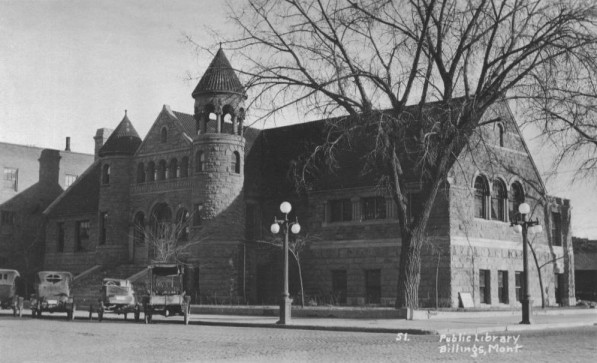 One, the Parmly Billings Library in Billings, Montana, is not far from here. How about reading Peace Like a River by North Dakota author Leif Enger and whipping up a batch of Mrs. Enger’s Cinnamon Rolls with Coffee Frosting? Or, enjoying The Red Tent by Anita Diamant (soon coming out as a movie!) with Fig Spread and Goat Cheese Toasts? Perhaps Stones by the River by Ursula Hegi and Bienenstich (Bee Sting Cake) would be more to your liking? More than a cookbook, The Book Club Cookbook is a book about books filled with ideas for your “must read” list. The books range from contemporary novels to classics, memoirs, and nonfiction. The recipes are inspired by the books. A particular dish might play a pivotal role in the book or convey something about a particular place or time or way of life. Whatever your taste in literature or food might be, this book will appeal. RTI International has a newly revamped web-based tool that provides a data-driven look at the experiences of the nation’s community college students. The BSC Library is cataloging this site, so if you lose or forget the link, you can still find it via the library catalog. We added it to our collection of Delicious bookmarks, too. Fair use is a limitation and exception to the exclusive right granted by copyright law to the author of a creative work. In United States copyright law, fair use is a doctrine that permits limited use of copyrighted material without acquiring permission from the rights holders. The Association of Research Libraries (ARL) presents the Code of Best Practices in Fair Use for Academic and Research Libraries (PDF), a clear and easy-to-use statement of fair and reasonable approaches to fair use developed by and for librarians who support academic inquiry and higher education. The Code was developed in partnership with the Center for Social Media and the Washington College of Law at American University. “Intersection Journal is an online magazine dedicated to capturing the culture, industry and way of life in Western North Dakota through photography and writing. Optimized for the mobile generation, we celebrate living, working in and exploring the Peace Garden State. The BSC Library has cataloged this journal, so if you lose or forget the link, you can still find it via the library catalog. We added it to our collection of Delicious bookmarks, too. You can also subscribe (free!) to have this journal delivered directly to your inbox. Take a look … this is a very cool online magazine. Although we draw on the bookstore example for merchandising our collections, we aren’t bookstores. We’re treasure houses, keeping the best of the old as we add the new.